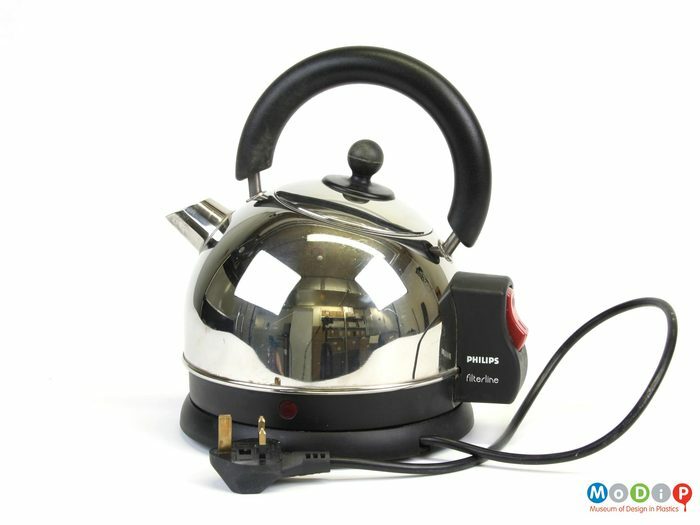 Chances are until just a few years ago that your small electrical items like kettles and toasters would have been made in the UK and lasted for years and years. Chances are if you buy a kettle today it will be made in China and break within a short time. 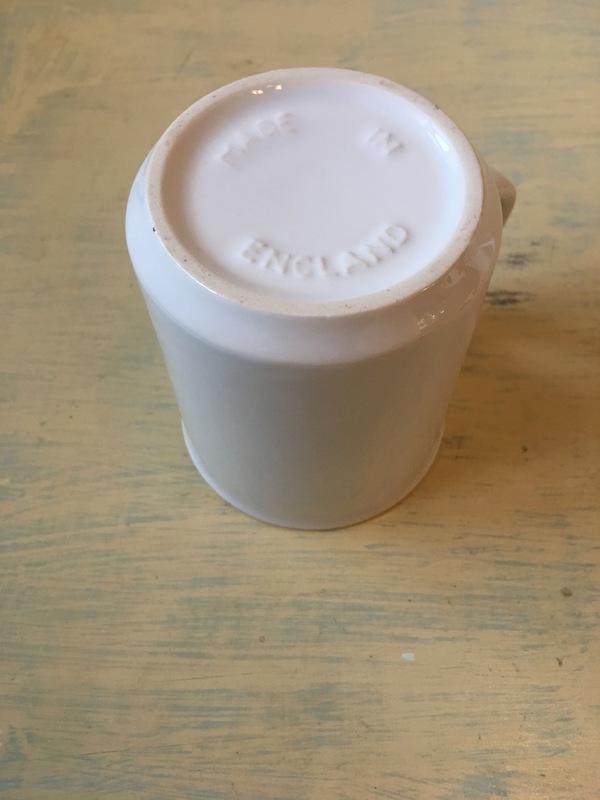 Also listed here is British made kitchenware. 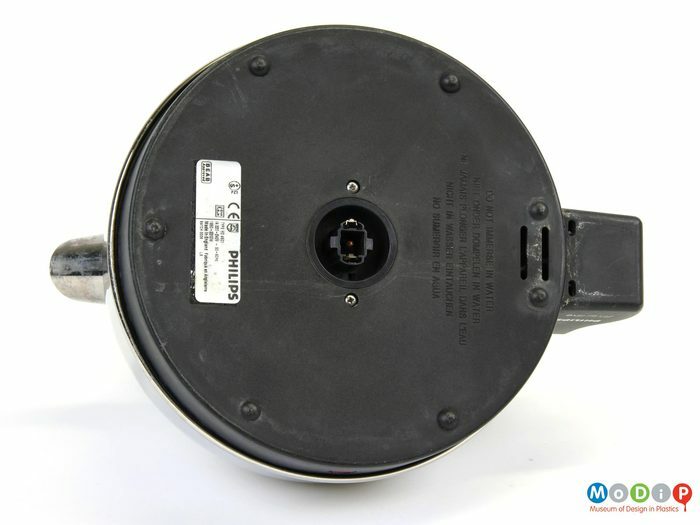 Philips used to make electric kettles in the UK (I have a couple of old made In England Philips kettles and they are very well made and they are still working), but I checked with Philips who have confirmed that all Philips products are now made in the Far East. For example, there was a Philips household domestic appliances factory in Hastings on the south coast that made kettles and electric heaters and it closed in 2008. Phillips used to make many other products in the UK such as razors, televisions, television components, military equipment, light bulbs, and CDs too but has now closed all its UK factories. They also own Mullards and Pye. Philips is a Dutch multinational technology company. Philips were one a big manufacturing presence in the UK. At the start of 2018 Phlips did actually have one factory still operating in the UK in Glemsford in Suffolk making Avent baby bottles but sadly in January 2018 Philips have announced even that is to close by 2020 and production moved to Philips home country, the Netherlands, because of the uncertainty surrounding Brexit, the UK’s proposal to leave the European Union. 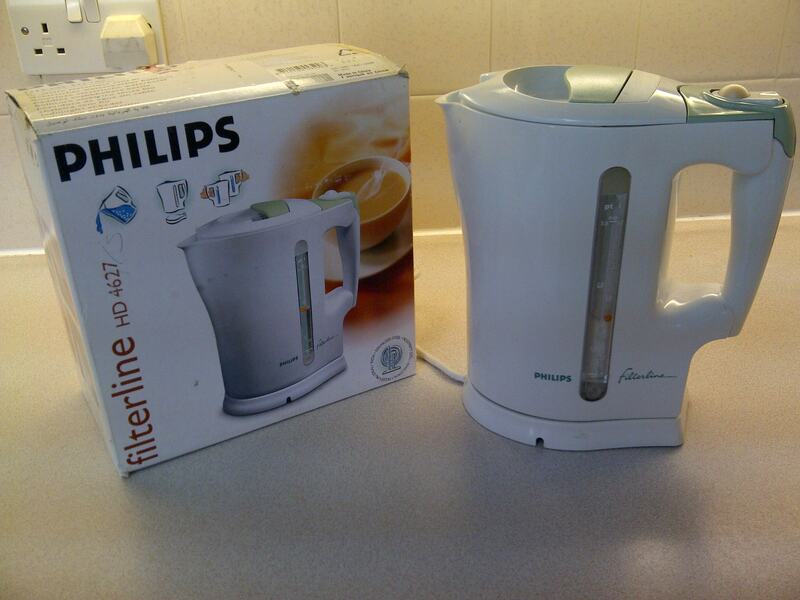 Vintage Philips Filterline HD 4617 jug kettle. Kettle made in England; seperate base made in China. Purchased in January 2005. Photograph by author. This entry was posted in Kettles and Toasters, Kitchen, Small Electrical, Towels and Tea Towels, Vacuum Cleaners and tagged Activair, AGA, AGA cast iron cookware, AGA kettles, AGA Ovens, AGA Stoves, Bags-n-Aprons, Bairro Alto, Barlo radiators, Belling, Big Brute, Big Mike, British Drainers, British Made Kettles, British Made Toasters, British Vacuum Cleaner, Broughtons, Burco, BVC, Castle Melamine, Chillchaser, Clear Prospects Ltd, Coffee Machines, Coleshill Plastics, Creda, Customworks, Delfinware, Dimplex, Dualit, Dunnetts, Euroservice UK, Evans Lichfield, Fracino, Glen Dimplex, Hampson Woods, Happy Snap Gifts, Harbenware, Heatkeeper, Henry, Henry Vacuum Cleaners, Impact Trading, Jenny Duff, Kettles, Kettles made in the UK, Lady Clare, Leisure Heating, Lindon UK, Melamaster, Merriott radiators, MK Electric, Morphy Richards, National Trust, Netherton Foundry, New World, Nuaire, Numatic, Oliver Harvey, Orchard Melamine Products, Outdoor Heaters, Paradean, Patio Heaters, Pneu-Therm, Quickshine, Quirepace, Radfan, Radflek, Rayburn, Richmond Kettle Company, Roberts, Rock Bakehouse Shop, Rowlett Rutland, Russell Hobbs, Sainsbury's, Samuel Groves, Scout Editions, Seakisses, Service Trolleys, Sharp, Sill-Line Perimeter Heating, Simplex Kettles, Sony, SPACE-RAY, Stoves, The Old Board Co, The Stitch Society, The Trolley Shop, Toasters, U Group Ltd, UK, UK made kettles, UK Trolley Shop, Utensa, VERITY Truly British, Victoria Eggs, Wandsworth Electrical, WSC Workwear, Xpelair, Yarmo Group, Yarmouth Stores Ltd on March 10, 2015 by ukmade. I am trying to find a flannel (facecloth, wash cloth) that is made in England and it is proving much harder than I expected. Are there any flannels or towels still made in England or elsewhere in the UK that you know of please? Is anyone actually weaving, dyeing and finishing towels in the UK now? Sadly it seems to me that there are no longer any towel weaving mills left in the UK. UK made tea towels are readily available and I would strongly encourage that you buy these British made tea towels in preference to foreign made ones. I list some British tea towels sellers and makers here. Towels wise though, I can find nothing really. 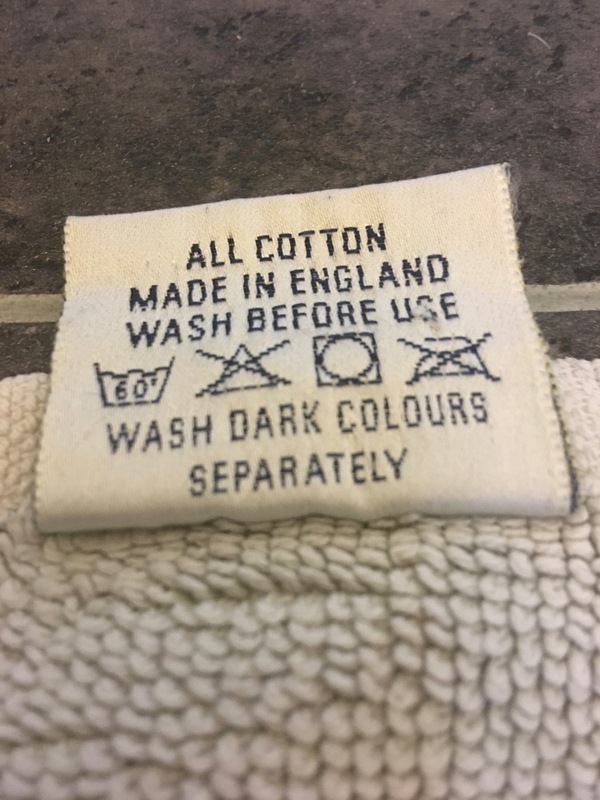 Chortex make no mention of a UK factory on their website and they confirmed to me (on 31st March 2014) that their towels are no longer manufactured in the UK. Christy towels are now made in India. 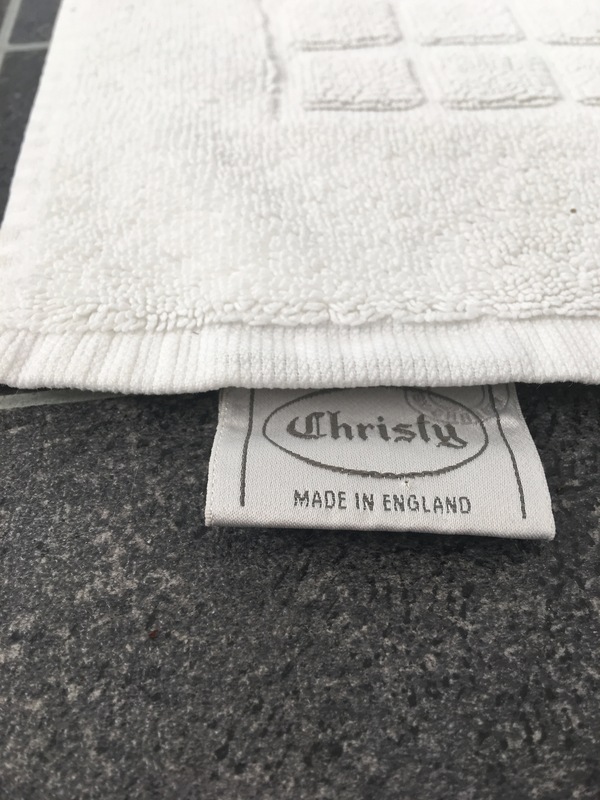 A vintage Christy Made in England floor towel (label detail). Sadly Christy have now moved all production abroad. Photograph by author. Ashtons were another well known towel maker, with 2 cotton mills in England. Taken over by Courtaulds in 1968 the company now appear to have closed. A vintage Ashtons Zorbit Princess pure cotton hand towel. Made in the UK. Label detail (front of label). Photograph by author. 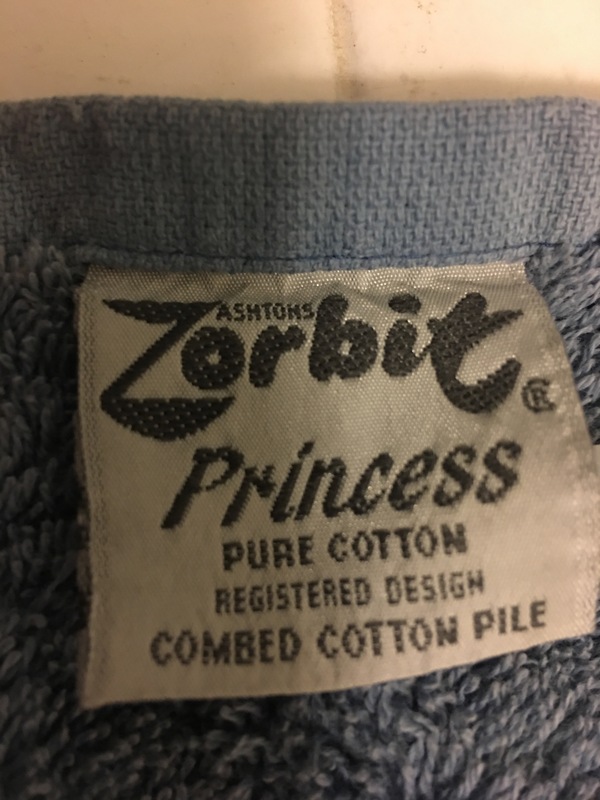 A vintage Ashtons Zorbit Princess pure cotton hand towel. Made in the UK. Label detail (rear of label). Photograph by author. 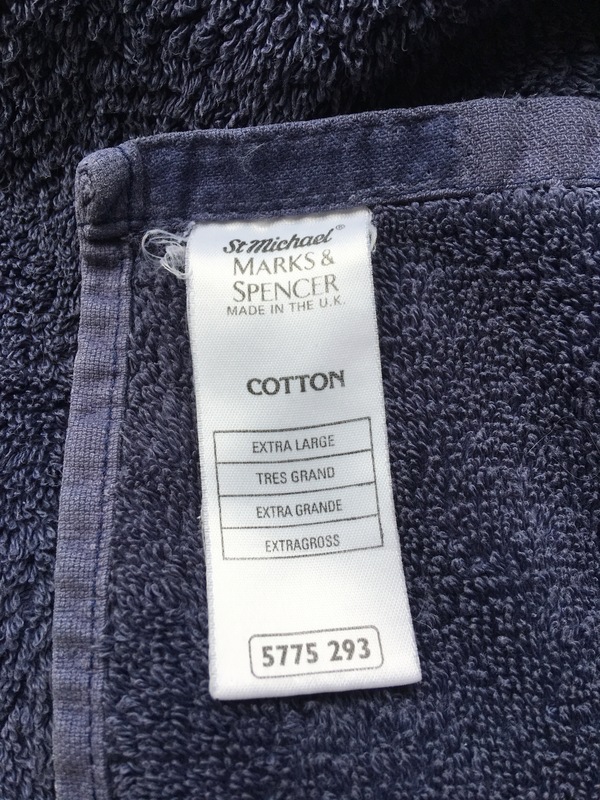 Marks and Spencer used to sell very good quality English made towels. A very few made in the UK items are for sale in Marks and Spencer these days, although that said Marks and Spencer food halls still have lots of great British made foods to choose from. 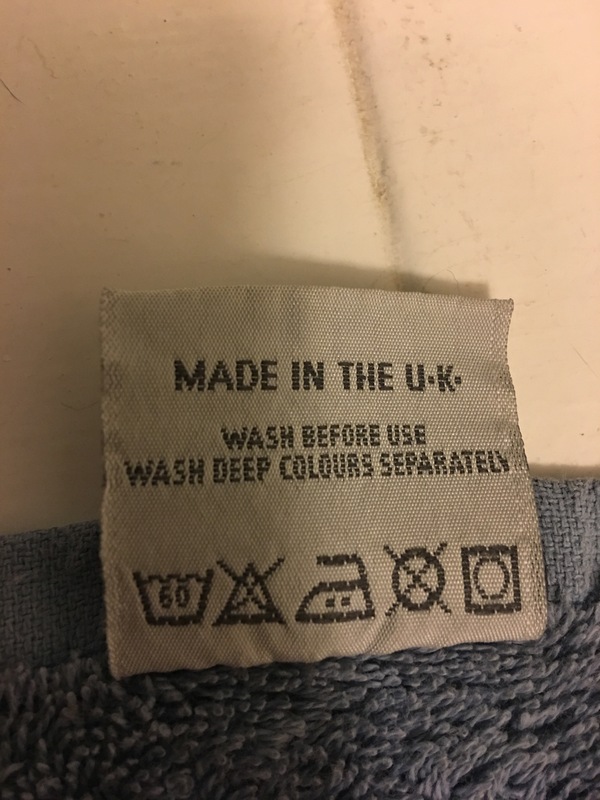 Sadly, since Marks and Spencer decided in 1999 to move all their manufacturing to suppliers abroad, resulting in near devastation amongst British manufacturers particularly in the clothing industry, there are no UK made towels in M&S and few other UK made goods. A vintage St Michael by Marks and Spencer Made in the UK cotton extra large blue bath sheet (towel). This is a very large towel indeed. Photograph by author 8 September 2017. Label detail. 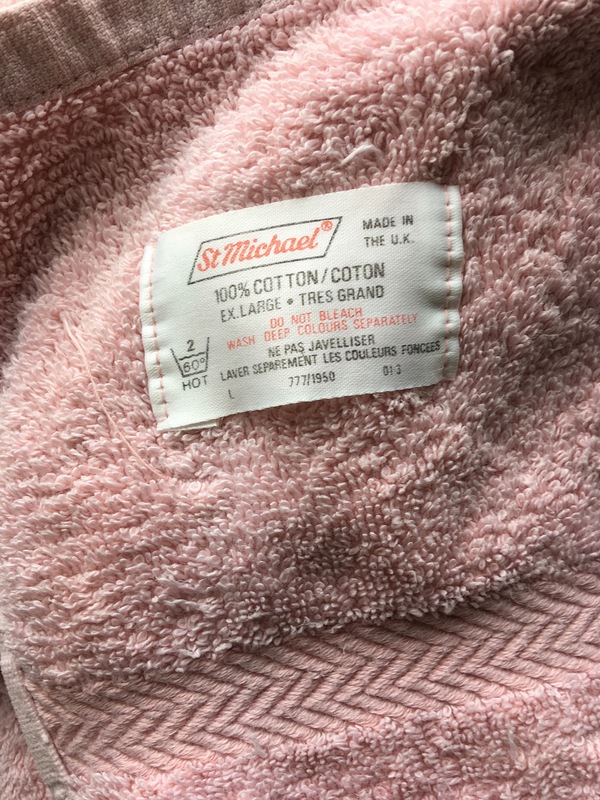 A vintage St Michael by Marks and Spencer Made in the UK cotton extra large pink bath sheet (towel). Photograph by author 8 September 2017. Label detail. 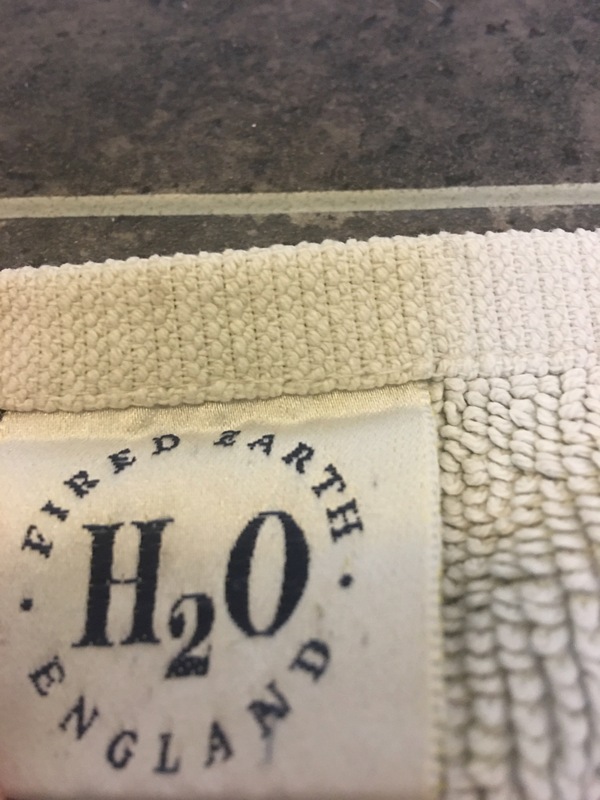 An old Fired Earth floor made in England floor towel, front of label detail. Photograph by author. 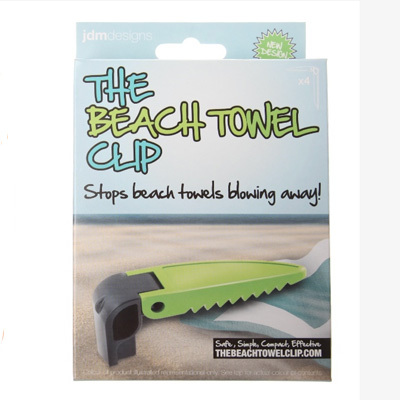 Sadly this company no longer have their towels made in the UK. An old Fired Earth floor made in England floor towel, rear of label detail. Photograph by author. Sadly this company no longer have their towels made in the UK. Bags of love sell towels that you can have printed with photo but I doubt if the towels themselves are made in the UK. Just printed in the UK. This entry was posted in Home Furnishings, Kitchen Towels, Towels and Tea Towels and tagged Are any towels made in England?, Bamboo Textiles Ltd, Bard and Brazier, Bareskin Beauty, Chortex, Christy Towels, Heated Towel Rails, Jane Hamerton, Lancashire Textiles, Lancashire Towel Co Ltd, Mine! London, Pool Cues, Rutland Radiators, Seakisses, Snooker Cues, Stamford Cuemakers, tea towels, The Beach Towel Clip, The Gaddum Group, Tonder and Tonder, Towel Rails, UK, Victoria Eggs, With Nature Skincare on April 2, 2014 by ukmade.